A future without qualifications and/or skills is becoming an increasingly difficult one. Coventry College is here to give the people of Coventry the support, information, training, skills and knowledge to help everyone progress in their career and realise ambitions. The new College was formed when City College Coventry and Henley College Coventry merged on Tuesday 1st August 2017. We have two campuses, the City Campus and the Henley Campus which are situated on the previous sites of the former colleges. 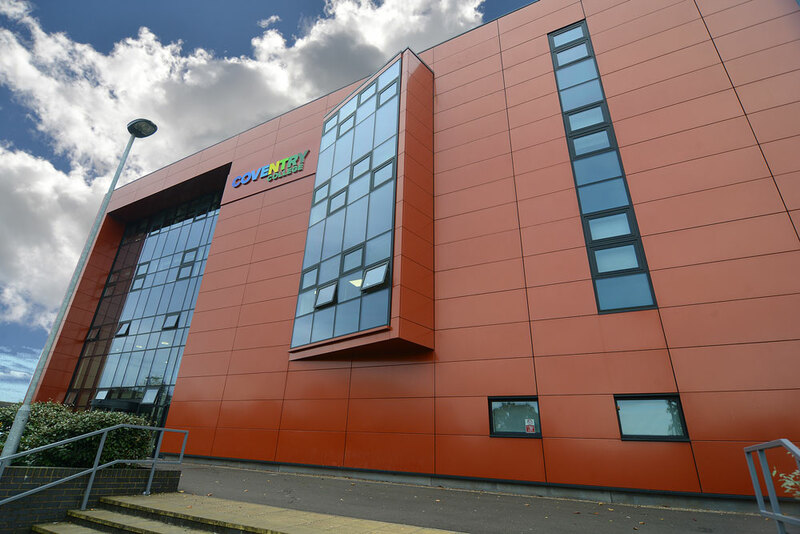 We are the largest Further Education college in the city and surrounding area. Our mission is to serve this area, improving skills, retaining excellence and enjoying this wonderful city. From entry-level qualifications, through to degree-level and specialist professional courses there’s something here for students with little or no formal education right up to career high-flyers. 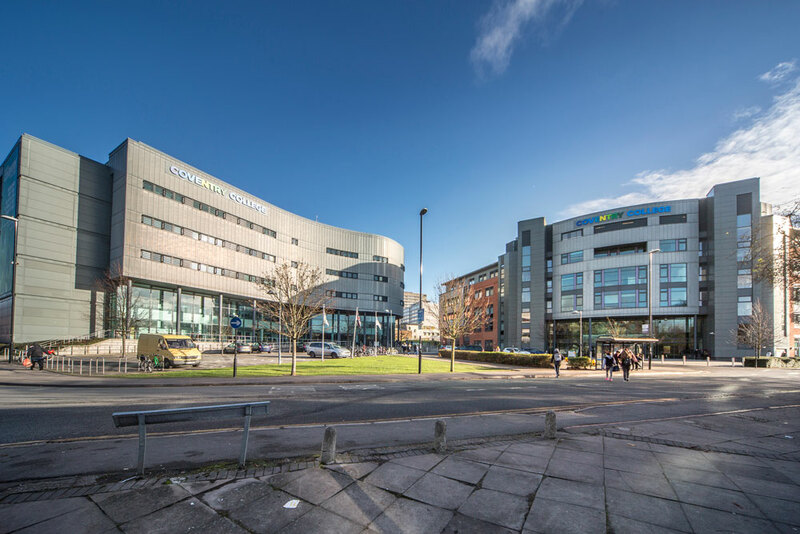 We have two campuses with a fantastic range of facilities; you can expect a vibrant environment where you can meet people from different backgrounds and cultures. Find out more about our campuses below. The City Campus was completed in 2008 and is easily accessible from the town centre and by local bus routes. Two buildings form the City Campus – North and South – which have multiple floors and house various different courses. There’s a canteen in the South building and a Costa Coffee in the atrium of the North building, along with places to study, meet and create for students on all courses. Once inside the City Campus buildings you’ll see fantastic facilities, from the outdoor construction areas to the media and recording centres. Dance studios live alongside IT suites, relaxing common rooms and the Studio 50 hair salon open to the public where students gain real life experience. The Henley Campus redevelopment was completed in March 2014 and sits to the north of the city in Bell Green. With several floors of classrooms and multiple life-like set ups for training, the Henley Campus is fully set up for your college journey. The canteen at the Henley Campus provides a daily mix of hot and cold fresh meals with a large space to eat with friends. There’s also a social hub where you can spend time outside of your studying to relax. If there’s a queue in the canteen, there’s also a pop up café in the atrium. The £8m facilities at Henley include an atrium with exhibition space to display student work, a new block with fourteen large classrooms and state-of-the-art conference facilities, a lively restaurant which is open to the public, a sports and fitness centre and a nursery. and chat to staff and students about particular courses and college life in general.